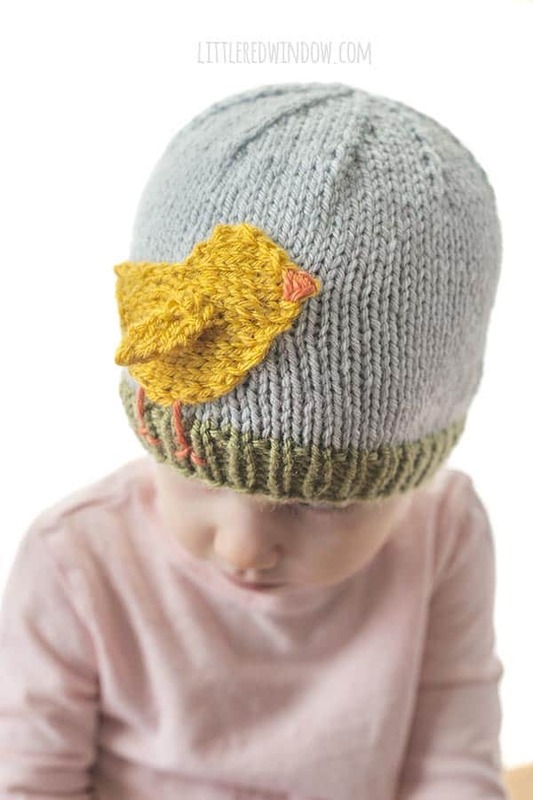 You guys, I always know if a pattern, like my new Easter Chick Hat knitting pattern is working if I finished it and Baby V can tell what it is. I pulled out this one and she exclaimed, “It’s a little chicky! !” so basically I’m winning today. 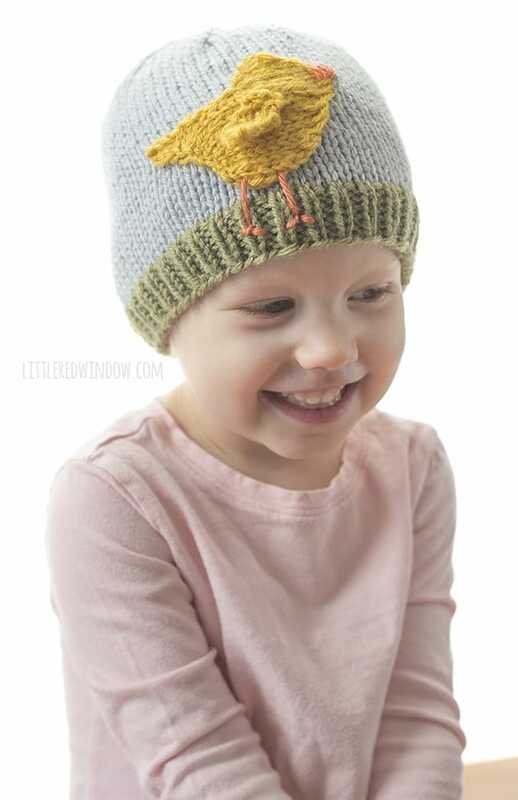 Also I managed to design and knit a chick shape with no weird stitches or short rows so that’s a plus too! 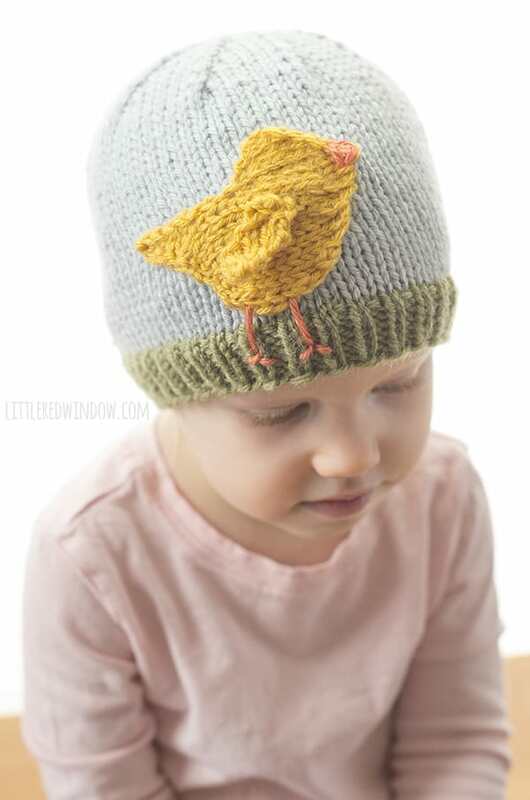 This cute little spring baby hat pattern is perfect for Easter with the little yellow chick standing on the grassy green brim. But if you don’t celebrate Easter, it works all spring and any other time too because it’s just CUTE. 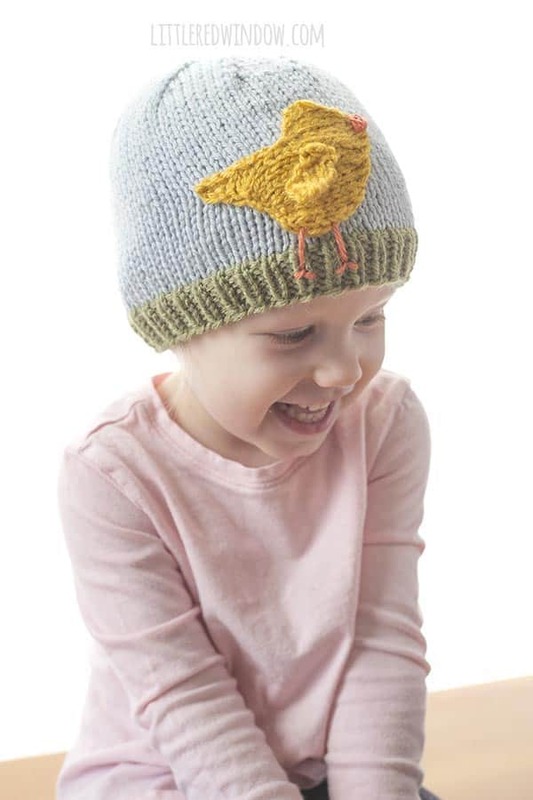 I mean, look at the cute little flapping wing! 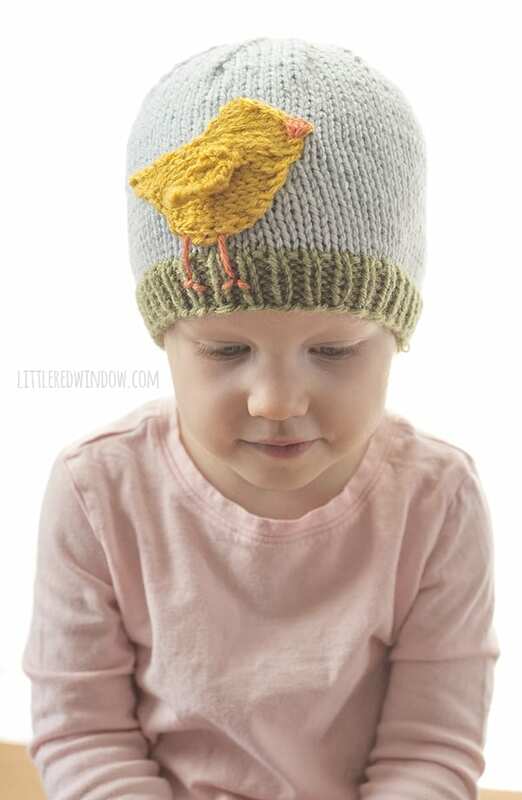 And I always love baby stuff in yellows and greens because it’s perfectly gender neutral. That makes it a great gift for a mom-to-be! 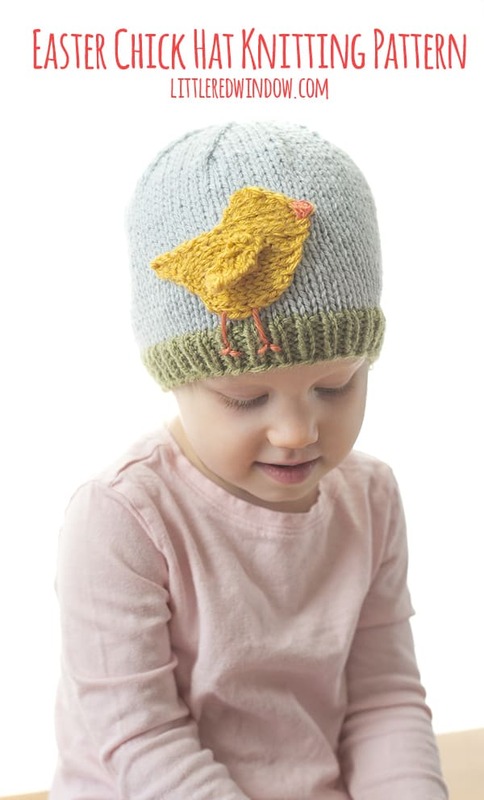 This hat is knit in the round and then the chick is knit flat and appliqued on top afterwards. It’s super easy, I promise. And just a few tiny embroidery stitches for the beak and legs/feet and you’re all set!